Wildlife Sciences presents its unique suet balls in a new wrapper style package. The one-piece printed wrapper allows for more informative merchandising while allowing for packaging efficiencies and lower costs. 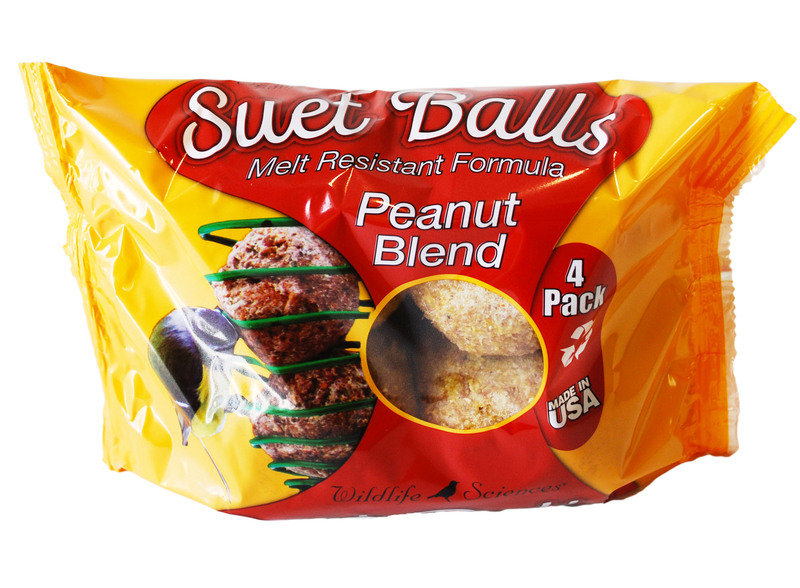 Wildlife Sciences is known for its innovative Suet Plus packaging and now our Suet Balls are available in the same Easy-Open, No-Mess style of package that consumers appreciate. The single piece wrapper allows for vivid graphics around the entire package for better merchandising. Production efficiencies gained result in lower prices at retail allowing more people to enjoy attracting wild birds with Suet Balls.